"This is the killer app we have been waiting for! This takes the already exceptional entrée interface directly to the mobile / tablet user in a clear, clean, intuitive app"
"entrée.EXPRESS is a true game changer! It's the app Greco & Sons and our customers have been waiting for. It provides the convenience and flexibility of the customer ordering on their phone when it is most suitable to them." - Joe Mirabella, Greco & Sons, Inc.
To discover more about entrée.EXPRESS and how it can help your business, we invite you to watch this 15 minute video which provides more details. It was filmed at an NECS training event and contains feedback from customers and also the behind the scenes work that went into designing this easy-to-use application. 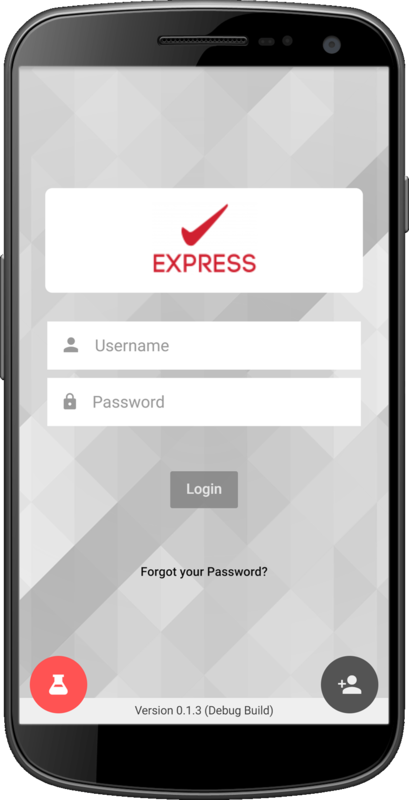 If you have been looking for a way to provide a tool for your customers to quickly enter their orders, then entrée.EXPRESS is the solution. It provides an easy to use app which your customers can download onto their mobile phone from either the Google Play or Apple App Store. No longer do they need to call in their order or wait for your DSR to contact them. They also no longer need to place their order on a computer. The elegant and easy to use interface allows them to speed through the ordering process with their standard order or one of their predefined order guides. Any defined specials or promotions they qualify for will be displayed, along with all their proper special pricing. 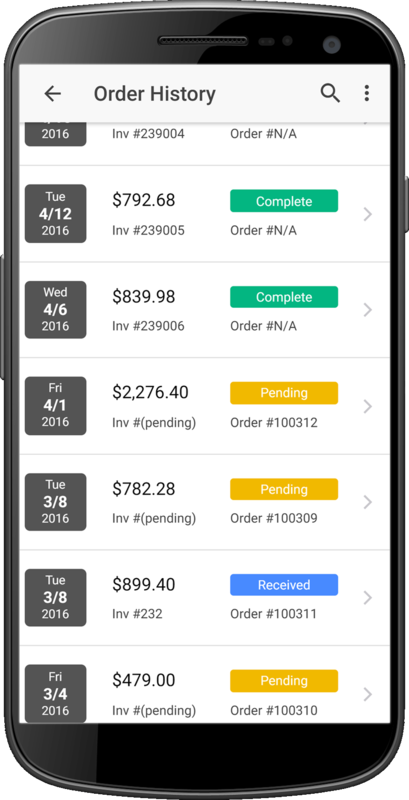 Your customers can also search your catalog for items, check on their open accounts receivable and discover the status of any orders placed. This will be the go-to tool that your customers use for convenience, while it builds their loyalty to your foodservice distribution operation. Designed for speed, your customers can quickly place their orders. Using their sales history with our Standard Order concept, we've made it easy for them to remember all the items that they'll need. The “Order Guide” option allows the setup of an unlimited number of targeted lists of items to make the ordering process easier and faster for each customer. 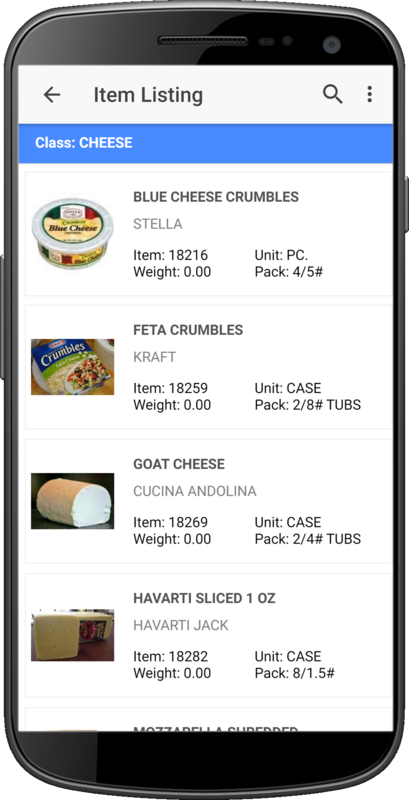 They can be defined to provide specialized lists by department such as frozen foods, dry goods, canned goods, dairy, meat, seasonal, day of week, etc. For each Order Guide defined, you can select specific items and the order sequence in which they will appear. You can create Order Guides for each business location, making them perfect for franchises or multi-location customers with varying needs. Once created in our entrée.NET system, your Order Guides can be easily displayed in entrée.EXPRESS. 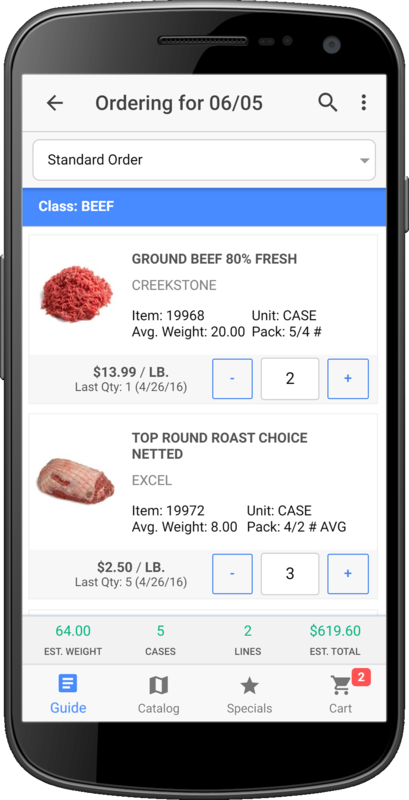 When viewing the Catalog, your customers will have access to your entrée inventory data file, with the ability to group by item "Class" or "Brand Name" with advanced search capabilities. An extensive amount of information can be displayed or disabled for your Catalog, including Pricing (will display customer specific pricing), Product Image, Brand Name, Unit of Measure, Pack Size, UPC Number, Item Constant or Average Weight, Minimum Sell Price, On Hand Quantity, comprehensive item notes and more. Your customers can select to view their Account, which provides detailed information related to their accounts receivable status. 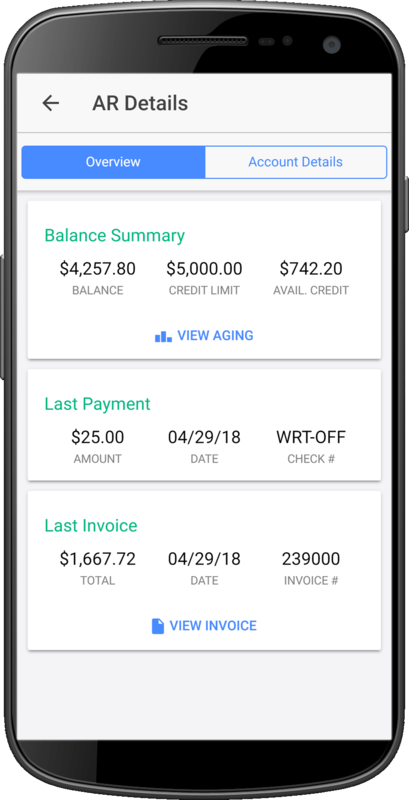 They will be able to view open invoices and payment dates and will have access to information including invoice dates, aging, invoice numbers, invoice status, invoice amounts, payments, credits, last payment dates and check numbers. 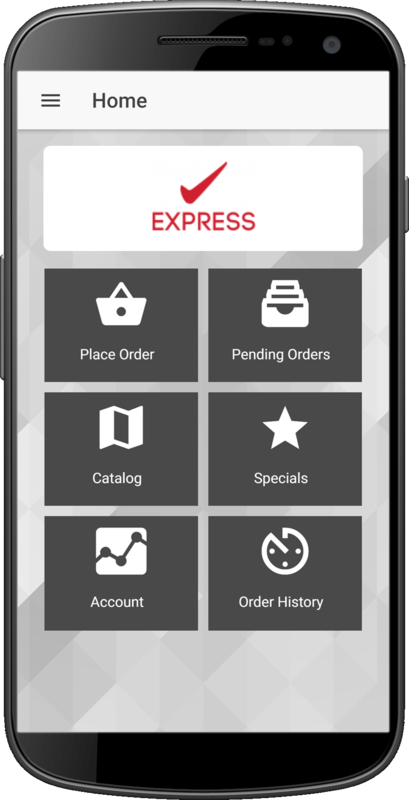 The entrée.EXPRESS app makes it easy for your customers to check on the status of all their recent and outstanding orders. They can see when the order is scheduled to be delivered, as well as edit an order that has not yet been transmitted to your warehouse. They can also view the details of any order that was placed up to 13 months ago. NECS can create a custom branded app made specifically for your operation using your logo and company name so that your customers can easily find you in the Google Play or Apple App Store. Inquire with our sales team for more information.